Shilajit Quality Greatly depends on the region and the altitude it is extracted from. It is an established fact that the World’s Best and Finest Quality Shilajit is found in Greater Himalayas of Pakistan in region of Gilgit Baltistan. This is the World’s Highest Shilajit Source Point!!! This environment is pristine and free from pollutants, fertilizers and chemicals. Gilgit Baltistan, Pakistan is home to 108 peaks above 7,000 metres and there is no count of peaks above 5000m (16000ft+) where Shilajit is found. Many people are not aware of this fact, therefore we are providing link to Wikipedia’s info to authenticate the Quality of our Shilajit. What makes this Shilajit the best amongst others is that it comes to you directly shipped from the source from where it has been extracted. We produce our Shilajit fresh per every order unlike others who have stock waiting on shelves for months. This involves extra hard work with the climate challenge but this is what makes our Shilajit special and effective! You can be sure that it has not been processed or altered in laboratories in USA or elsewhere to achieve any specific standard taste, color or texture. Shilajit is considered to be the best carrier of energy in the human body. Shilajit is taken as an organic, herbal mineral supplement, the purified resin contains 85+ minerals and trace elements, that the human body needs to function optimally, and Fulvic and Humic Acids which help the body absorb these minerals at the cellular level. Shilajit is a wonderful health, energy, and immune system enhancer, the best natural antioxidant! Shilajit has been consumed as a dietary supplement for thousands of years in Asia because of the many benefits it provides. We use purely natural methods to prepare our Shilajit to maintain its organic and original nature keeping safety in mind. Our Shilajit is Ethically Harvested, purified by natural methods to remove any sand or other residues, filtered with spring water from the purest sources in Himalayas and dried in the Sun. Comprehensive, transparent, testing. Tested for all the heavy metals ! DOES NOT contain any heavy metals and is 100% food safe. 100% Water soluble. In case of contact with eyes, rinse your eyes well with clean water. Please consult your nutritionist in case you have special health issues or on special medication or in pregnancy. Food Graded Packing! It becomes paste at normal temperature so keep this in refrigerator for an hour before you open the cap of the jar so it won’t get stuck with the cap of the jar. We send 2 grams extra to avoid any wastage. Or you may also run warm water over the jar so you can open the jar easily without any problem! We advise you to keep the jar in standing position for 40 minutes before opening so let the viscous Shilajit settle in the jar to avoid wastage. 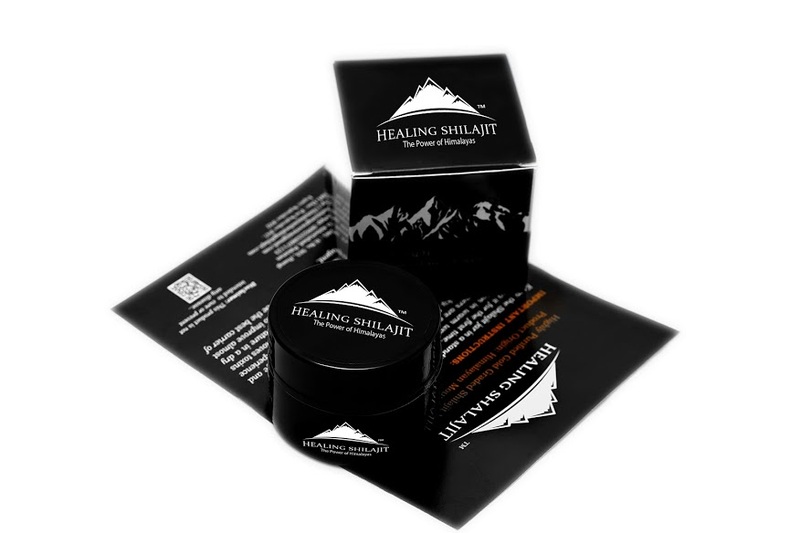 SPECIAL INFORMATION FOR NERDS: Even more precisely, Himalayan Healing Shilajit is collected from Siachen Khaplu area, whose Shilajit is most strong and effective in entire Gilgit Baltistan area due to the lowest effect of climate change & the sea level effects. This helps to preserve the Shilajit quality for centuries. Compare it to any brand Guaranteed to be the best quality most purified and fresh Shilajit Ever! Please read instructions on product leaflet for the detailed directions to use the product. Shipping takes longer because we prepare fresh per order, so order in advance. Actual product packaging and materials may contain more and different information than what is shown on the website. We recommend that you do not rely solely on the information presented and that you always read labels, warnings, and directions before using or consuming the product. This product is not intended to be used as a medicine. Please consult your nutritionist before using if you have any health issues.